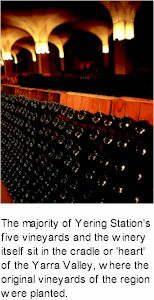 A cepage of Pinot Noir and Chardonnay, in almost equal measure, tipped slightly towards the masculinity and dominance of the weightier Pinot Noir, rich with creamy biscuit characters very much in the style of Champagne. Copper blonde colour. Strawberries on the bouquet, pear with hints of almond and yeast. Creamy palate with integrated acid providing balance to this unctuous yet elegant wine. Strawberry, stone fruit, citrus and pastry characters provide further structure. Balance is maintained through to the back of the palate and finishes with excellent length. Enjoy now.